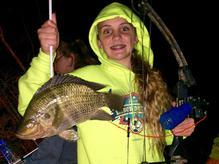 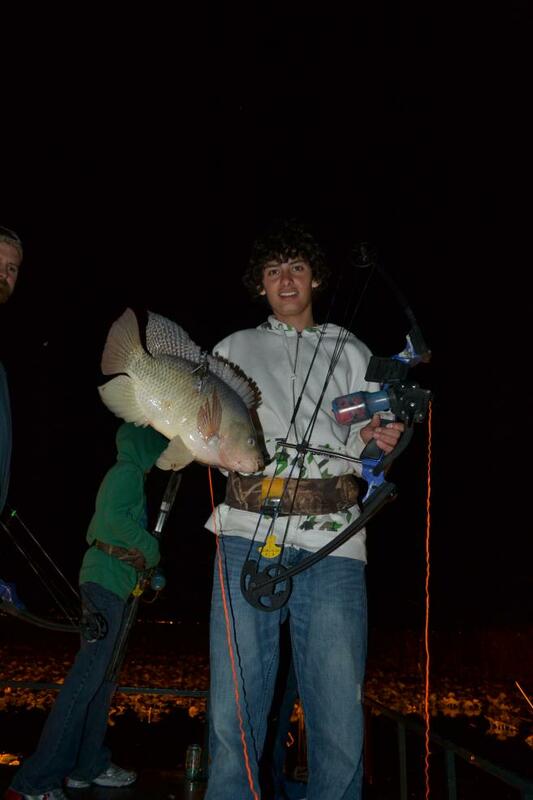 Bowfishing is a fun and exciting sport for all ages! 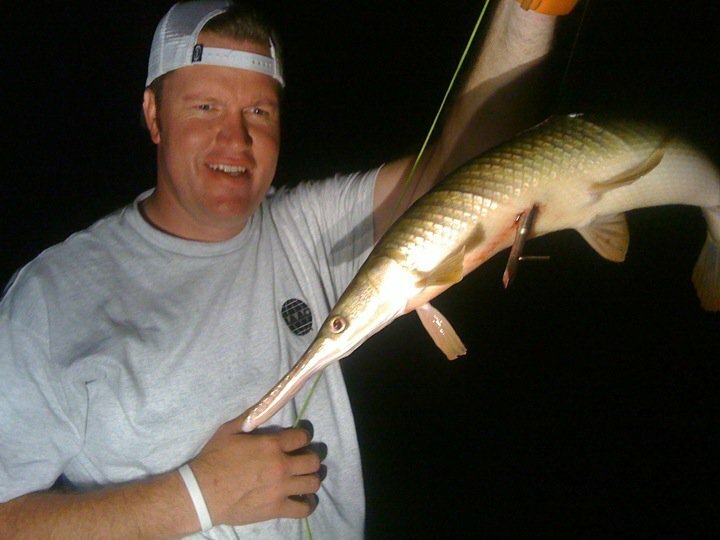 The non-stop, year-round action and fast pace make for a fun and exciting charter. 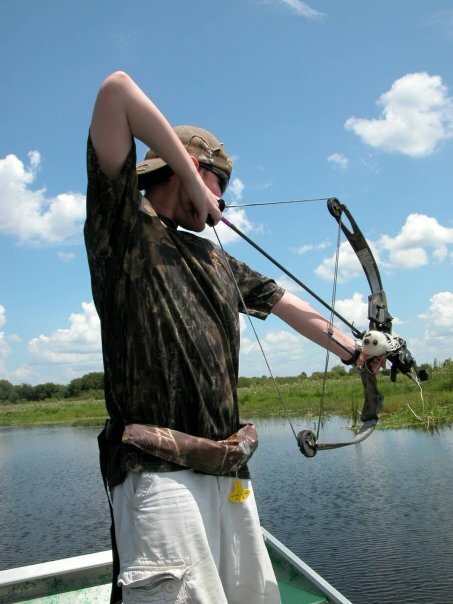 The primitive nature of using a bow and arrow to secure your dinner, draws archers young and old. 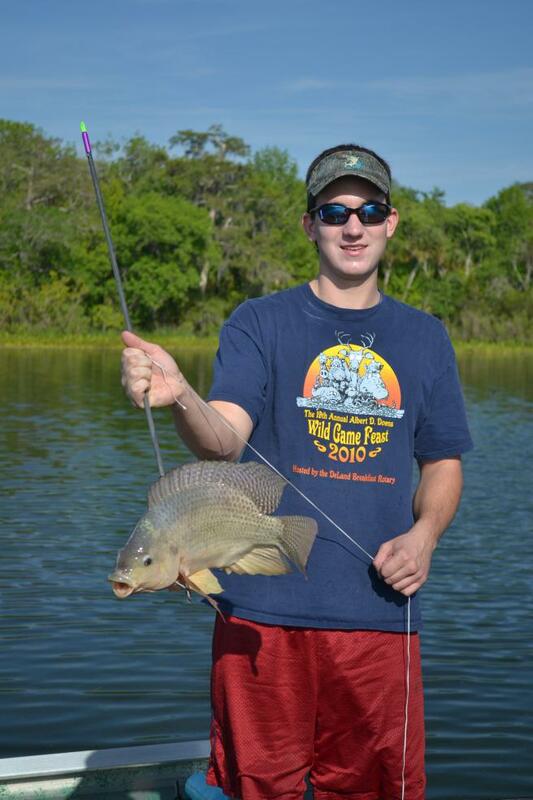 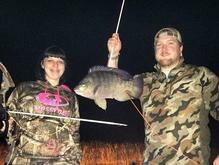 Bowfishing also helps to stem the influx of non-native, invasive species of fish into Florida's delicate waterways. 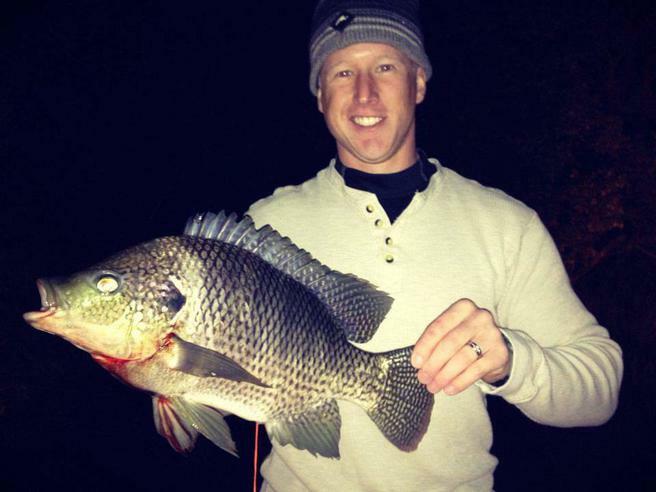 These fish often have few natural predators and multiply very quickly. 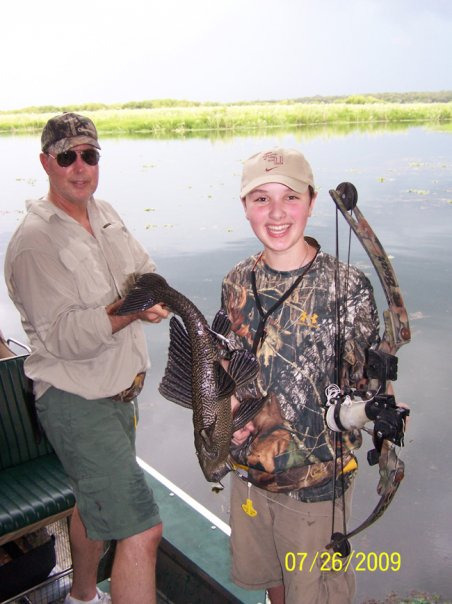 Plocostomus (Armored Catfish), from South America, have infested Central Florida. 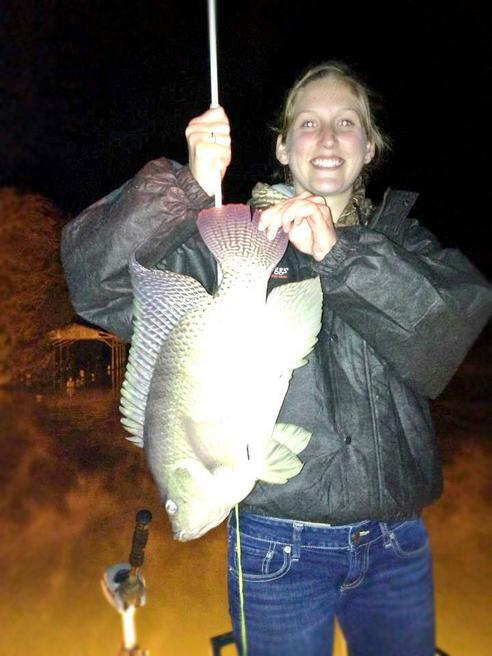 These tropical fish were released by their owners into the river when they became too large for their tanks. 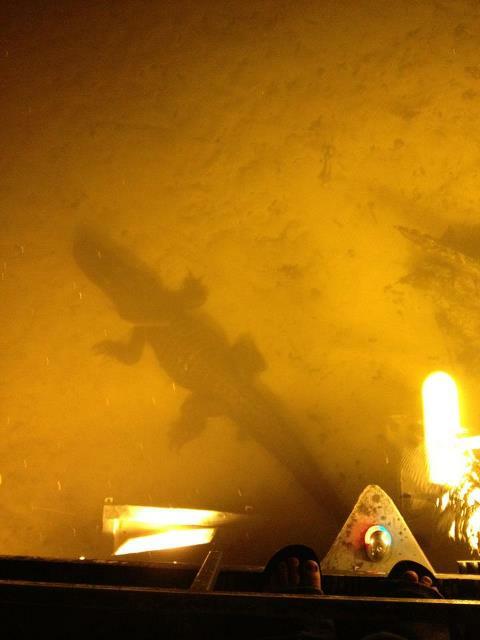 Burrowing into the shoreline, Armored Catfish undermine the banks along the river. 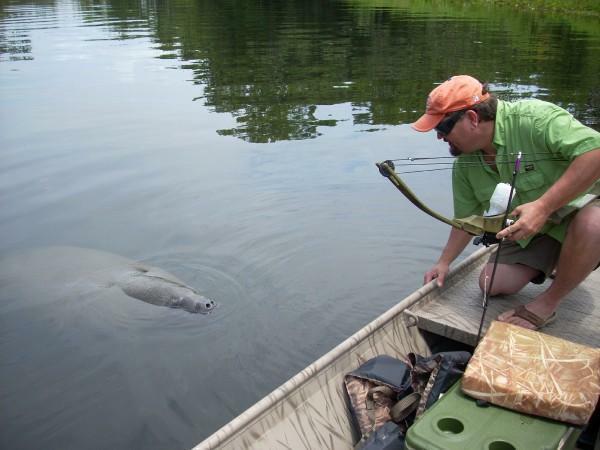 There are no bag or size limits on this fish and they provide dozens of shot opportunities through out the trip. 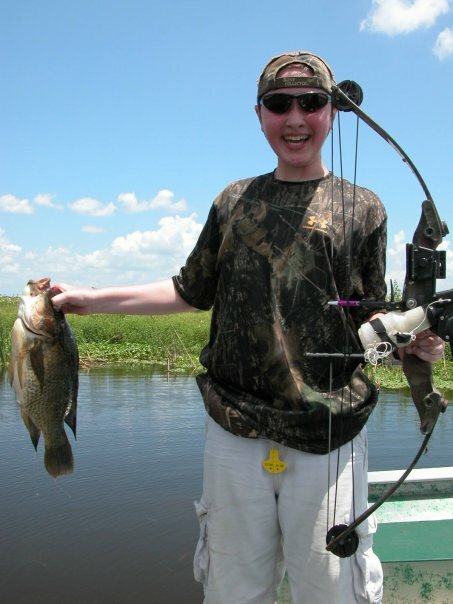 Liberal limits insure a successful trip. 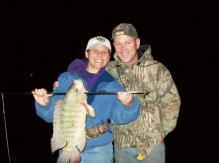 Several edible fish are also available. 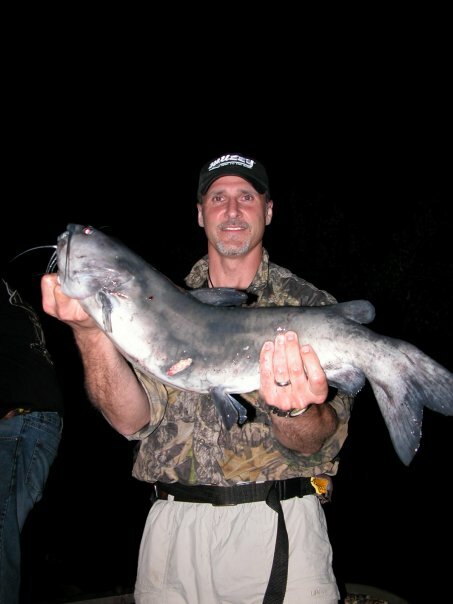 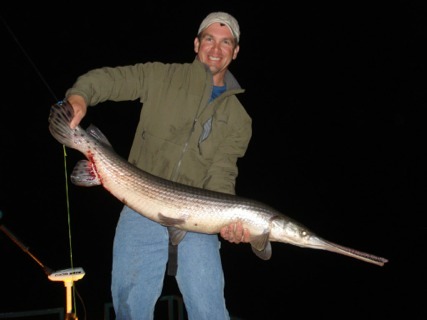 Tilapia, Catfish, Mullet and Longnose Gar make up the majority of our opportunities. 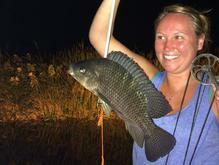 If you are interested in taking your catch home, fish cleaning is available. 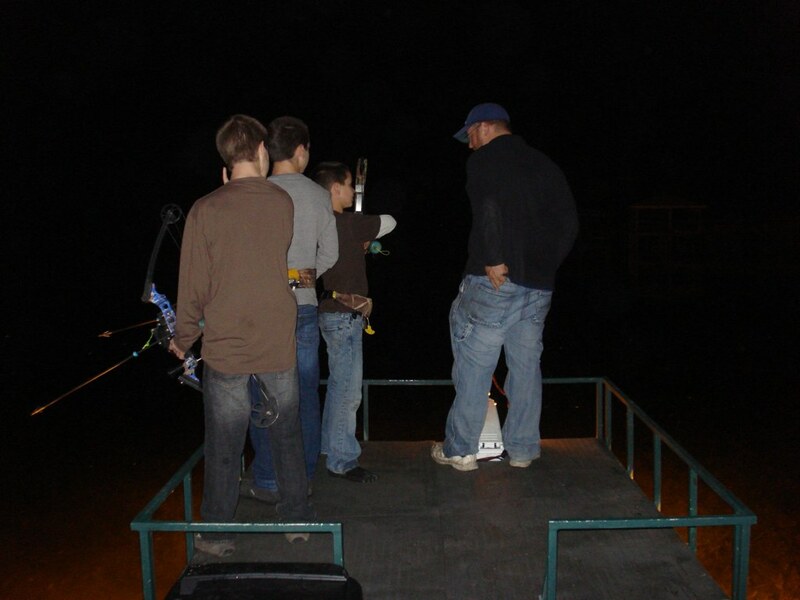 Night trips take place on our custom built bowfishing vessel, a 20 foot Woodsman Watercraft with a elevated 6X7 foot platform, 101-Minn Kota trolling motor, Mud Buddy Hyper-Drive 4000 motor, 4-400w HPS Lights are quietly powered by a Honda 3000EU generator. 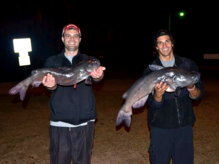 This combination allows us to cover a large area in the time we have, giving you the greatest number of shot opportunities possible. 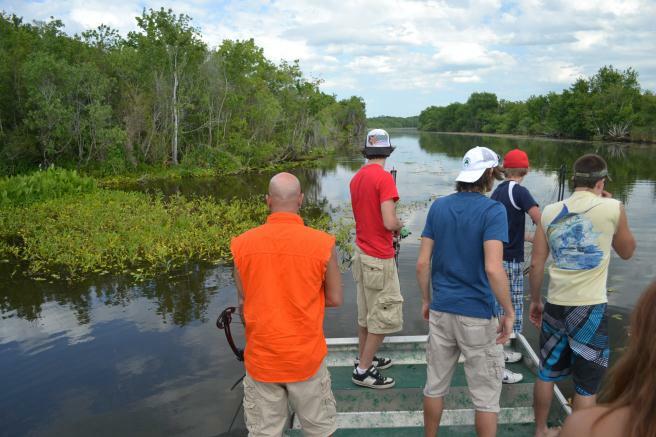 Day Trips can take place on our bowfishing vessel or can be combined with an Airboat Ride. 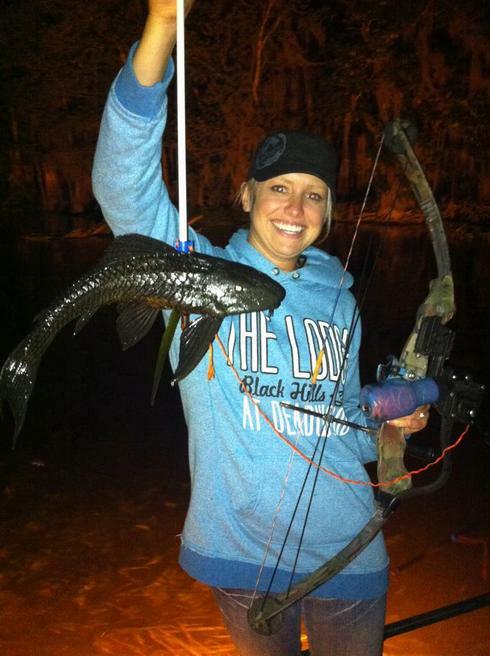 All bowfishing equipment is provided on each charter. 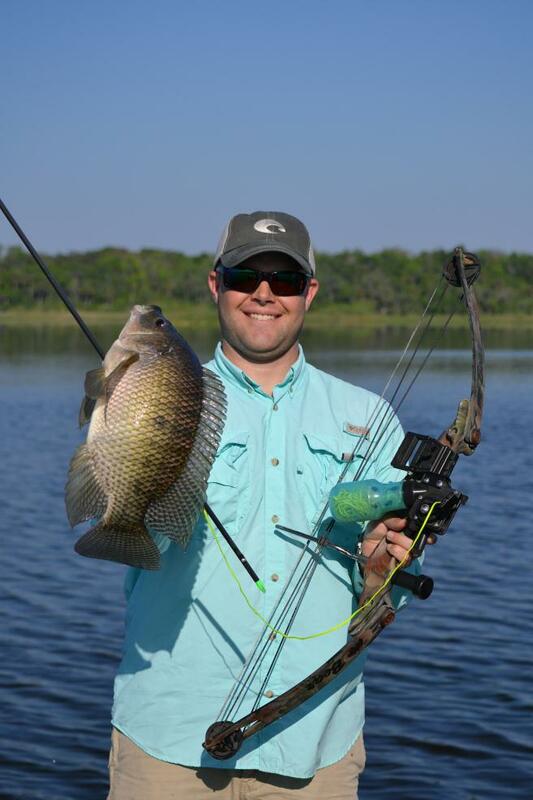 AMS Fish Hawks, AMS Retriever reels and Muzzy arrows are our standard equipment. 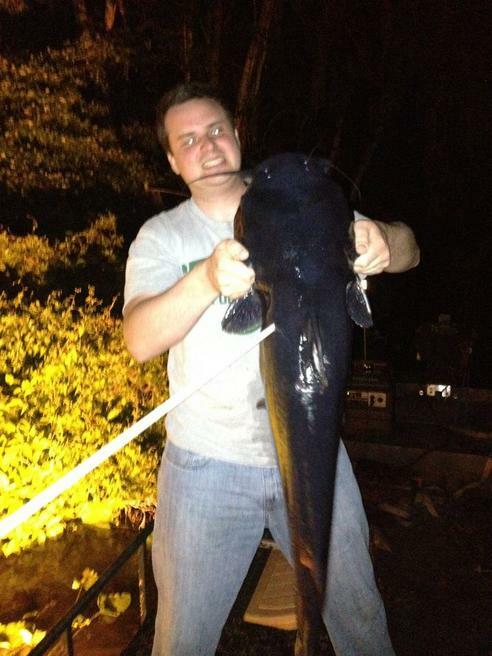 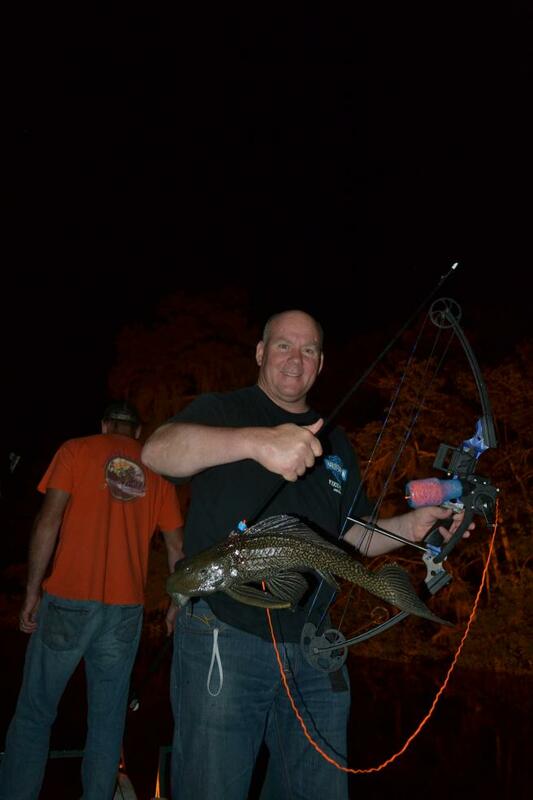 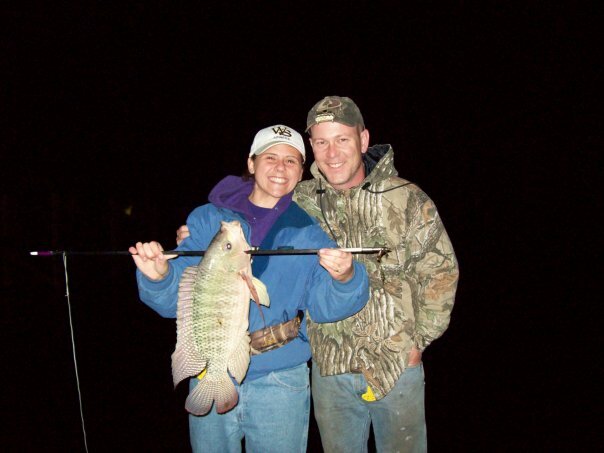 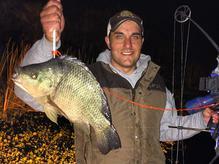 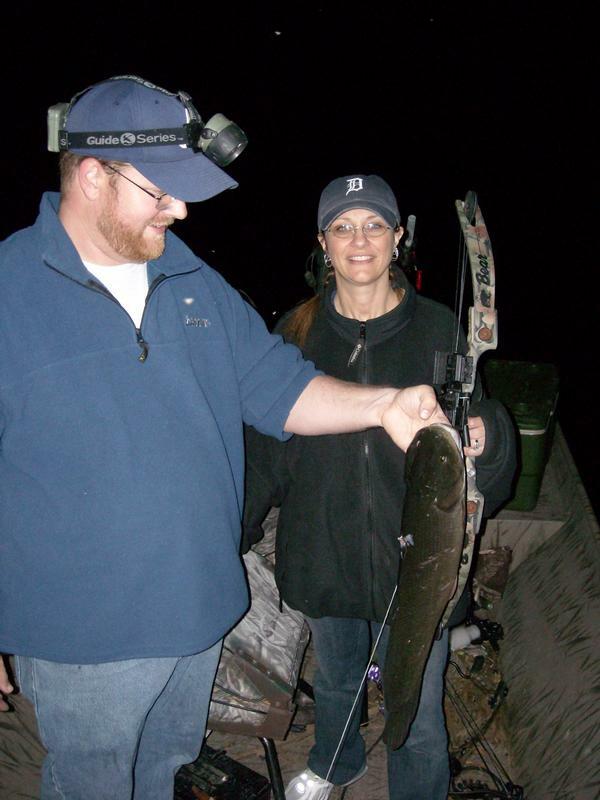 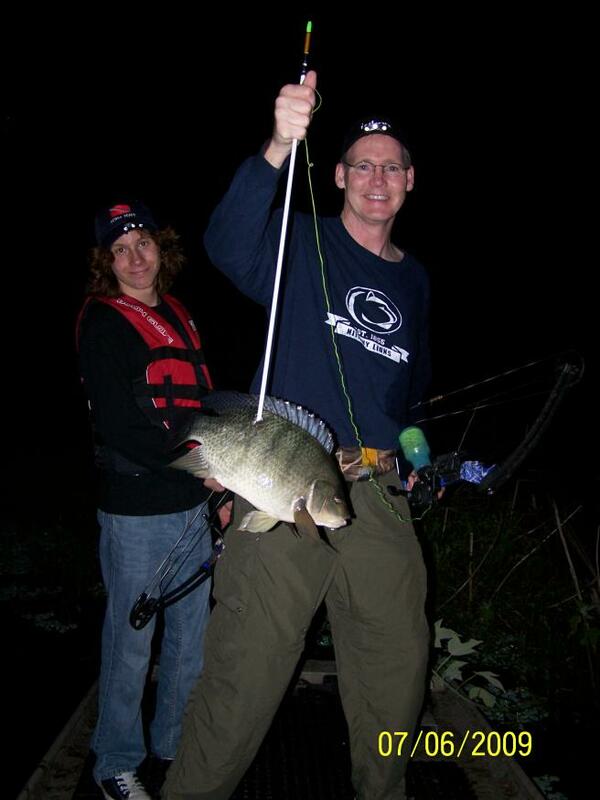 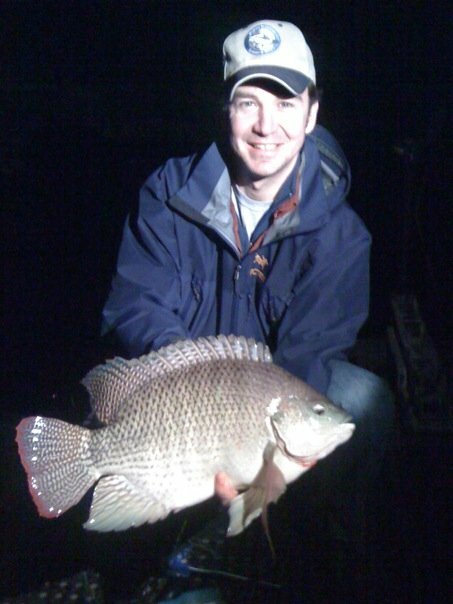 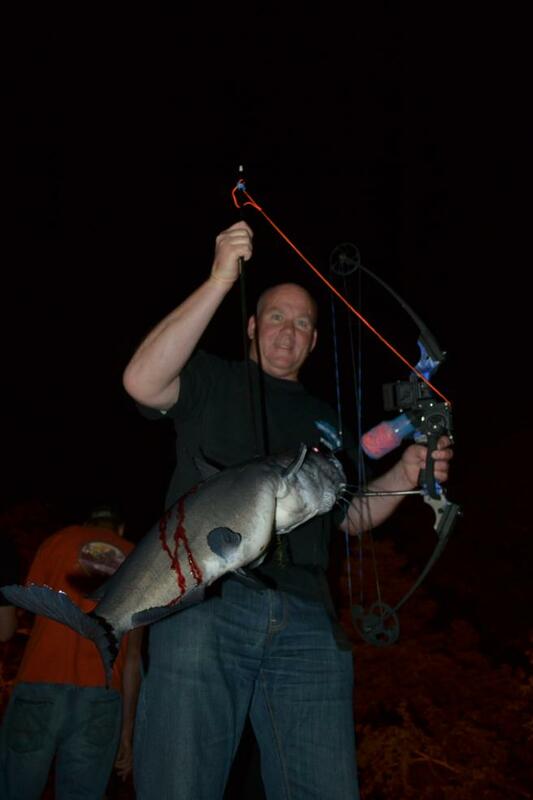 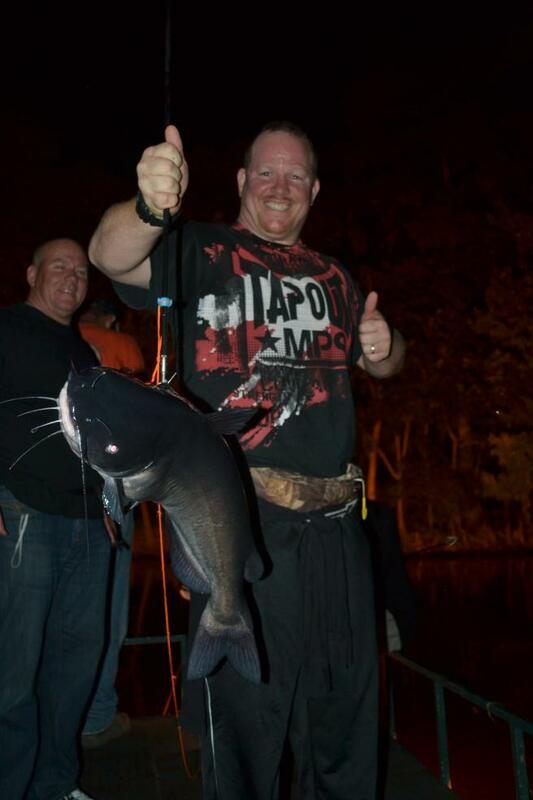 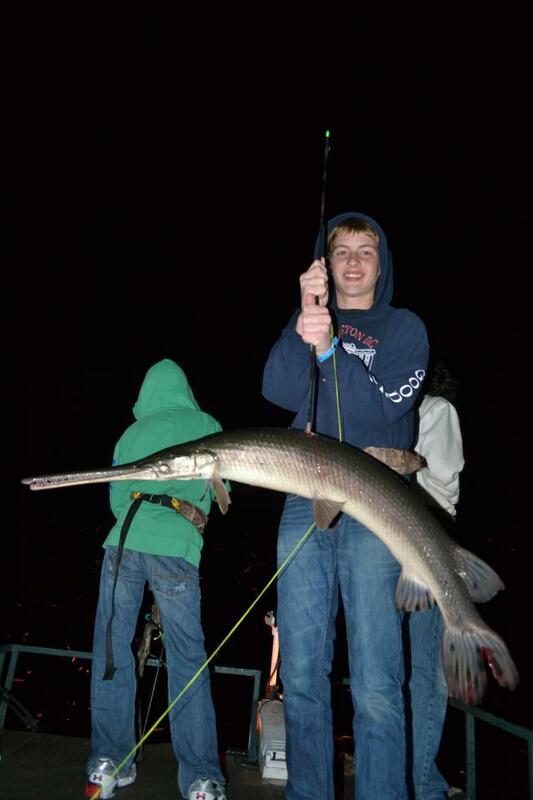 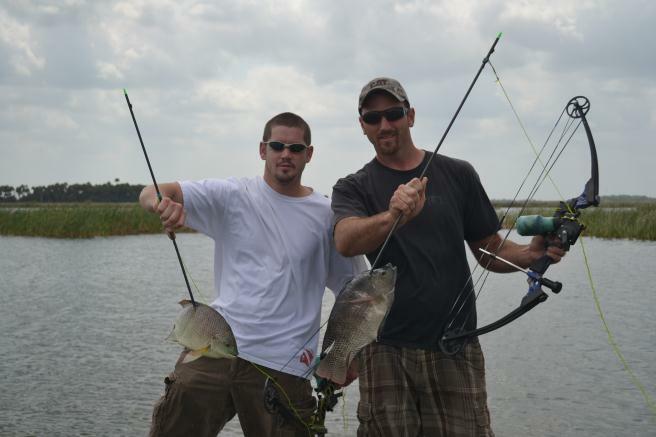 Bowfishing takes place within 30-45 minutes of Orlando and Daytona Beach, Florida. 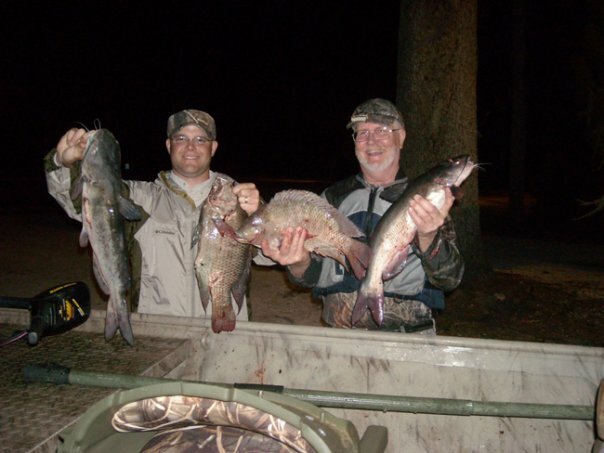 Giving you a great opportunity to add a new experience to your vacation or business trip.